To this day I can still remember my dad waking me up to go hunting on opening morning. The smell of spent shells and autumn weather is etched in my mind. Now I have the pleasure of waking up a little boy to come with me. Great stuff! Love the smiles, thanks for sharing. Regarding O/U's, IMO, if looking for something to hand over to your new hunting bud there someday; I wouldn't consider anything lower in price point than a Citori. A few White's on GB right now, new in the $1500 range, hard to beat. Very cool! see you had his BB gun with,great idea. Wow. That is awesome. 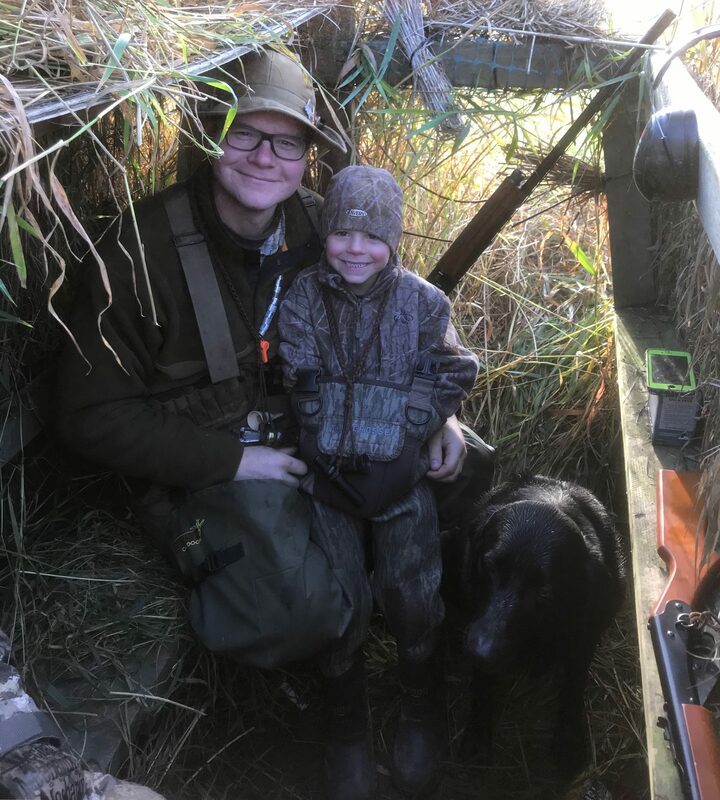 Brings back memories of my first hunt with my dad when I was 7. Later in life, after he passed away, those times we spent afield and the closeness we had were the greatest gift he could have ever given me. Way to go! Great pictures, love seeing the miles of smiles. Lots of memories being made there!! I’d have the young guy wear hearing protection. Wish I had done so many years ago. You are very fortunate. My dad got to the point he couldn't get around by time I took up bird hunting. Take the little guy often and cherish that big smile. 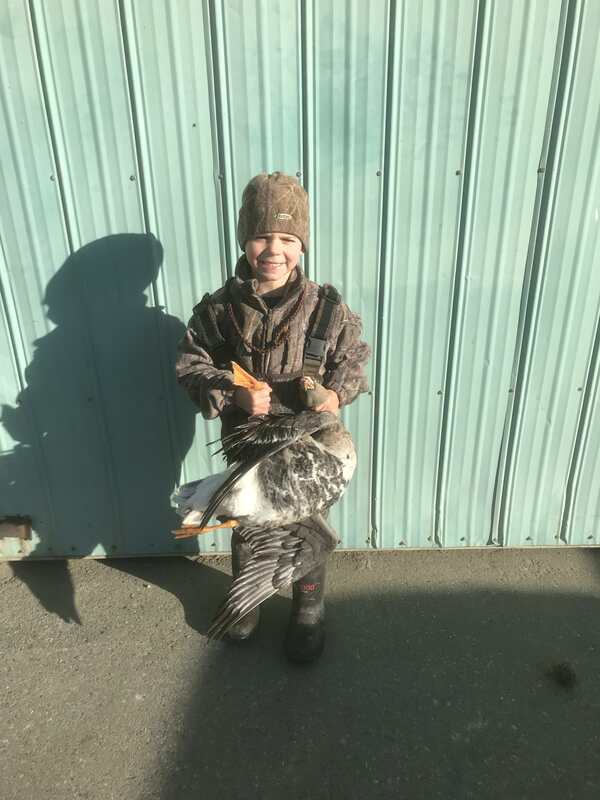 Thanks for sharing and I recall the first hunts I took my sons on. They are going to join me for four days the end of next week and it will not be long before I start taking my grandkids out. Congrats on a fine using with your boy, great memory maker for sure! Fantastic, so glad you and your son got out together! I have to ask, is "the honest pintail" homage to Robert Ruark's "The Old Man and the Boy" where he speaks of the pintail as an honest duck that won't go off and get nasty by eating fish on you? Yes Sir! One of my favorite books, I just read it to my son this summer and every night after I would read him a chapter I would ask him question about what the old man was teach the boy and he was listening to every word. 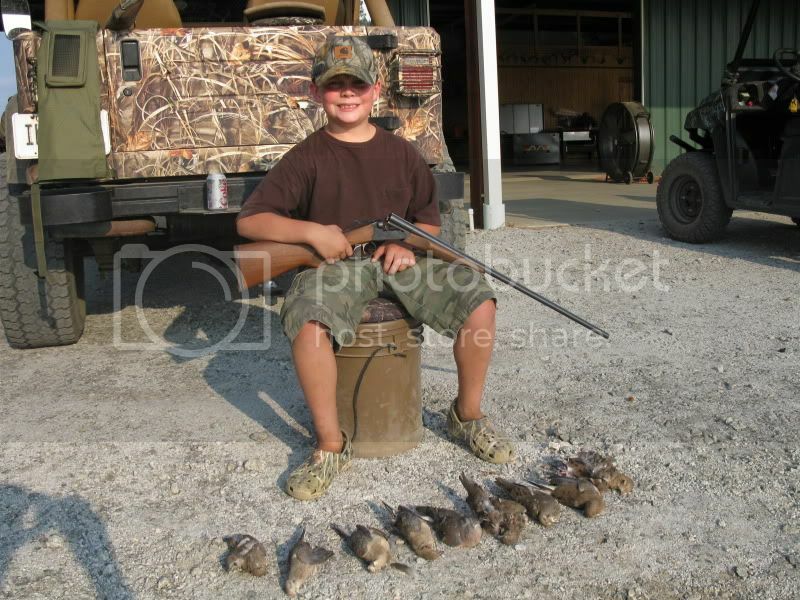 My now 16 year old grandson, at age 9, after his first dove shoot carrying a gun. Stoeger .410 S x S with shortened buttstock. This is great stuff! My 6 yr old keeps inquiring....she's a tough little girl, and I believe she will be taking a stroll thru the woods this fall as well.